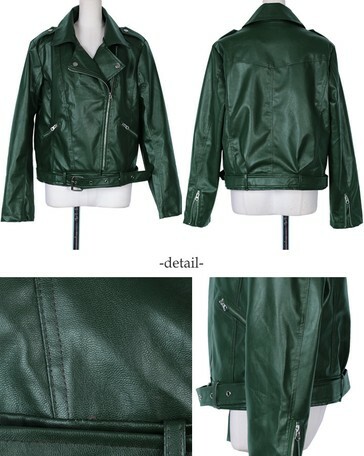 Using a soft fake leather, a mens-like size feeling comes in a leather jacket with a sense of comfort ♪ gives a luxurious feeling of luxury, a high looking effect ◎ too! 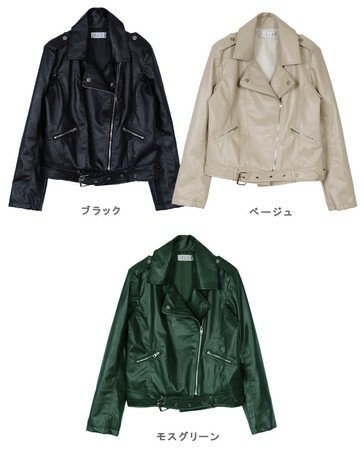 ◎ Because it is a comfortable body width so it is a body cover ◎, It has pockets and outstanding functionality! Because it allows you to enjoy various styles depending on how you dress it is an item that you can love long without regard to trends. ※ Because of major measurements, some errors may occur. ■ Precautions ◆ Because deep color products may be discolored, please wash separately. ◆ Because of the nature of the fabric, there may be a slight smell stronger, please note on your purchase in advance. Please refer to the comment column for details of size. Material / component: Please refer to the comment section for the details of the material. ● We are paying attention to inventory management, but there may be a shortage of real stock even when it is in stock. In that case we will contact you by email or phone before shipping. We appreciate your inconvenience but we appreciate your understanding. ● Rakune Since we ship using coins, we can ship only one shipping fee even if we ordered regular items and reserved items at the same time. In the unlikely event of a violation, we will consider future transactions, so please understand in advance. For details please see the company page. ▼ About the product We are offering cheaply for the sake of convenience, please forgive the jumping out and scratches etc. of an inconspicuous thread of such a degree that there is no hindrance to wearing. In addition, since the product is mass-produced abroad, dirt and spots of the extent that can be easily dropped with one washing, traces of chakopen etc. are not eligible for return. Please note on your purchase. ▼ Conditions for accepting returned goods We will only accept items you received within seven days after arrival. Furthermore, initial defect concerning ... after the commodity arriving7 day .... will do. Returned goods object becomes therefore please note. * Even if we receive your message within 7 days, we will exclude items tagged off, products with fragrance such as perfumes, tobacco, etc. not subject to return receipt.